For close to 150 years, Canadians have been working together to build an open and inclusive country that draws strength from its diverse culture, its two official languages, and its relationship with Indigenous peoples. The organizations of the Canadian Heritage Portfolio, including the National Film Board of Canada (NFB), have an important role to play in fostering diversity and social inclusion. They preserve our history and promote our cultural content both here at home and beyond our borders. In a world where Canadians’ spirit of innovation and the cutting-edge use of digital technologies continue to grow in importance, I am delighted to present the accomplishments of these organizations. Through its 11 production studios, the NFB collaborates with filmmakers and creators from all regions of the country to offer audiovisual works reflecting the diversity of Canadian cultures and communities. By making its works accessible around the world, the NFB not only helps make Canadian society better known at home and abroad but also helps win recognition for the talent of Canadian creators. Fully engaged in exploring digital technologies, the NFB continues to innovate by developing interactive productions in virtual reality and other formats that renew the audiovisual arts. As Minister of Canadian Heritage, I invite you to read the 2015–2016 Departmental Performance Report for the NFB. In it, you will discover how the NFB has fulfilled its mission and helped achieve the goals of the Government of Canada. The year 2015–2016, the second in my five-year term as head of the National Film Board of Canada (NFB), saw important changes and major new initiatives within the organization. Three key strengths enabled us to continue to stand out as leaders in the world media landscape: our aptitude for creation and innovation, an ability to engage our audiences in our works, and a dynamic, evolving organizational structure. Over the past year, the NFB released 43 original productions and co-productions, and our documentaries, animated films and interactive works garnered attention worldwide. The NFB received 66 awards: 35 in Canada and 31 abroad, including one Canadian Screen Award, two Prix Gémeaux, a Special Jury Prize at Hot Docs, two NUMIX awards, three Webby Awards and a prize at the Annecy International Animation Film Festival. The year 2015–2016 was also marked by major organizational changes at the NFB. First of all, in February 2016 we established an institutional programming and production unit. Its mandate is to spearhead our efforts to build traditional and non-traditional relationships with major strategic partners from the public and private sectors, so that we can produce and co-produce ambitious works that would be impossible without them. Next, in March 2016 we established a unit in charge of digital media and interactive studio programming and production, to integrate and harmonize the NFB’s digital platforms. The development and enhancement of these platforms are key steps that not only will let us focus our future efforts on our audiences but also will ensure their continuing engagement with us in the long term. We also continued to meet the challenge of making our works accessible, both through the NFB.ca | ONF.ca online Screening Room and through our ambitious digitization plan. Throughout the year, with the same goal of bringing the NFB closer to its audiences and its partners, we continued to prepare for the relocations of our head office in Montreal and other NFB offices around the country. The move of our Montreal head office to the heart of the city’s Quartier des Spectacles entertainment district is scheduled to begin in the second quarter of 2018. In making this move, we are working closely with the Société d’habitation et de développement de Montréal (SHDM) and the City of Montreal. We are also carrying out a plan to mobilize our employees and involve them in designing a modern, creative and flexible new work environment that will enhance the ways in which we work together. As a federal cultural institution, the NFB seeks to reflect the increasingly diverse people of Canada, not only among its own staff and the artists and artisans with whom it collaborates, but also in the works that it produces and co-produces. To this end, the NFB established a diversity committee in December 2015 to implement mechanisms that help us meet our obligations regarding employment equity, multiculturalism and official languages, and to encourage the diversity in ideas and perspectives that is central to our mandate and helps to drive our innovation and organizational effectiveness to a higher level. This committee’s thoughtful efforts have already produced an employment-equity plan for achieving full representation of the four designated groups within the NFB’s workforce. Beyond achieving representativity, we want to make our workplace an inclusive space where every employee has the same chances of advancing within the organization and developing personally and professionally. We want the NFB to be a place where everyone feels free to contribute to the organization’s success with no fear of being judged by others or of encountering prejudice because of their beliefs, language or cultural origins. Another important aspect of diversity is the role of women in our organization and in the works that we produce. The NFB is recognized as an institution where women can create significant works and play a decisive part in producing its films, whether in front of the camera, behind the camera or in management positions. In 2015–2016, women’s excellence shone in various projects that represented 43 percent of our total production budget. To signify our determination to achieve gender parity in our productions, we have committed to ensuring that by 2019 half of our productions will be directed by women and half of our total production budget will be devoted to works by female directors. This initiative will give expression to the vitality of women’s voices and enrich the variety of realities and perspectives represented in the NFB’s works. As a Canadian cultural institution, the NFB also wants to serve as a model not only in promoting the French and English languages, but also in taking positive steps to support French-speaking and English-speaking minorities throughout the country. In one such step, in October 2015 the NFB signed a three-year agreement with the English Language Arts Network (ELAN) and the Quebec English-language Production Council (QEPC). The purpose of this agreement is to strengthen the audiovisual sector and the vitality of Quebec’s English-speaking communities. Our partnership with ELAN and QEPC is a first for a federal cultural agency in Quebec and reflects the NFB’s commitment to fostering the development of Canada’s official-language minority communities. In closing, the NFB consists of nearly 400 talented people who are dedicated to creating experiences that move Canadians—and people everywhere—and speak to their thoughts, emotions and imaginations. This task is a privilege, but also a responsibility, because we are striving to be a significant presence in the public’s cultural life. Now more than ever, in a world that is constantly changing, we have a role to play. Production of audiovisual works: A total of 119 works produced or co-produced during the 2015-2016 fiscal year, including 43 original films, 6 websites, 2 apps, 2 interactive installations, 1 game, 1 virtual reality project, and 64 films in support of interactive works. Creation and innovation: Exploration of new creative and interactive forms, with the Virtual Reality Lab for VR documentary projects and the Creation Lab for interactive installation projects. Recognition for the NFB: 66 awards – 35 received in Canada and 31 on the international scene; NFB expertise recognized by 151 industry panels, presentations and round tables around the world. Diversity of viewpoints: 56% of NFB original films directed by women, 30% by emerging filmmakers, 23% by official-language minority filmmakers, 16% by filmmakers from ethnocultural communities and 12% by Indigenous filmmakers. Audience engagement: Six Virtual Classrooms offered in English and French to 18,200 students across Canada, with such well-known figures as astronaut Chris Hadfield and filmmaker Alanis Obomsawin. Partnerships: Memorandum of agreement between the NFB and the City of Montreal for co-production of a scientific digital work to be shown at the Rio Tinto Alcan Planetarium to mark Montreal’s 375th anniversary. As a producer and distributor of audiovisual works, the NFB provides a unique perspective on Canada’s cultural wealth and diversity. The NFB explores contemporary social issues through point-of-view documentaries, auteur animation and new-media content. Today, our artists and artisans continue to lead the way with advances in form and content in documentary, animation and interactive film. The NFB is governed by the National Film Act and a series of other statutes, including the Financial Administration Act (which sets out the government’s financial administration structure and process), the Access to Information Act, the Privacy Act, the Official Languages Act and the Canadian Multiculturalism Act. As a producer, the NFB carries out its responsibilities by constantly investing in new creative fields in documentary, auteur animation and interactive media. It seizes the artistic and technological opportunities that arise in the media landscape and collaborates with emerging and established filmmakers, creators and co-producers in every region of Canada, with Indigenous and culturally diverse communities as well as partners around the world. Creativity and social relevance are the core features of its productions. Since the advent of digital technologies, the audiovisual industry has been undergoing a major transformation, and the NFB must adapt and evolve in this context. The existing business models in the industry have been upset by the erosion of traditional sources of revenue and the proliferation of distribution platforms. Most notably, the popularity of platforms for publishing online content, such as Netflix and YouTube, strongly affects how the NFB promotes its works and makes them available for the public to discover. The NFB currently has nearly 400 employees striving to carry out its mandate in both official languages all across Canada. It has production facilities located in Vancouver, Edmonton, Toronto, Montreal, Moncton and Halifax, with satellite offices in St. John’s, Winnipeg and Regina. Its Headquarters are located in Montreal, where the majority of the employees work. The NFB’s internal environment has notably been affected by the restructuring plan launched in March 2015, which, among other things, called for downsizing staff in Toronto and Montreal. The measures taken have resulted in $5 million in savings, which have been reinvested in the organization. While achieving these efficiencies, the NFB has also been able to preserve its programming and production budgets. The NFB’s activities were also marked in 2015–2016 by the move of the Moncton and St. John’s offices and by planning for the relocation of NFB Headquarters to the Quartier des spectacles entertainment district in spring 2018 and the move of the Toronto and Edmonton offices scheduled for fall 2016. Of the two risks noted in the 2015–2016 Report on Plans and Priorities, that of a discrepancy between corporate capacity and workload was the best managed, with the major technological projects and the restructuring that were undertaken. The two new information and media management systems and implementation of the new distribution platform on NFB.ca put great pressure on the NFB’s resources but without undue delays in the launch of these projects. The announcement of additional funding for 2016–2017 will give the NFB more leeway in deploying its Strategic Plan. For the past several years, the NFB’s financial position has been an issue that has had a significant, ongoing impact on achieving its expected outcomes, developing its plans and establishing its priorities. The general decline in the audiovisual production market and the erosion of traditional revenue sources, such as DVD sales and broadcast licences, are the main factors accounting for the downward trend in NFB revenues. To address this risk of decreasing revenues, the NFB continued to take steps to strengthen its financial capacity. The risk was mitigated, however, by the announcement of an additional allocation in the 2016 budget and by the internal budget review conducted in spring 2015 that identified certain sources of recurring savings. Despite this announcement and efforts made within the NFB, its budget still had to allow for a 9% decline in revenue sources compared to 2014–2015. Furthermore, the partnership with Cinéma Excentris had to be abandoned when the organization went bankrupt, reducing potential revenue for the NFB. However, this will not prevent the NFB from developing other partnerships for offering more content on NFB.ca. The NFB’s operations were also marked by the ending of the educational workshops given in Toronto and Montreal. This activity was losing money, and it was not possible to make up for the shortfall with other revenue sources, such as CAMPUS subscriptions. The risk response strategy consisted in developing a new business plan, converting these workshops into online educational services that would be accessible to a broader audience and schools across Canada. Efforts made in relation to this priority will enable the NFB to develop an interdisciplinary artistic approach in order to create new art forms, increase the diversity of voices and participate in work with a national scope. With its focus on issues of social relevance, NFB storytelling brings a fresh perspective on the world and breaks new ground in content and form. Through this priority, the NFB will continue to exercise its leadership in innovation and creative excellence in both official languages. Of the 43 NFB original films made in 2015–2016, 56% were directed by women, 30% by emerging filmmakers, 23% by official-language minority filmmakers, 16% by filmmakers from ethnocultural communities and 12% by Indigenous filmmakers. The NFB, in co-operation with Radio-Canada, launched the 2016 edition of the Tremplin competition, designed to give emerging French-speaking filmmakers outside Quebec a chance to direct their first or second documentary. The films made by the two winners will be telecast on Radio-Canada on March 31, 2017. For the 11th edition of Hothouse, the NFB’s signature lab for developing talented animators, six directors from the various regions of Canada were selected. The NFB established a partnership with JustFilms,3 in co-operation with the Canadian Film Centre, to offer support for 12 multidisciplinary artists from under-represented communities as part of a creative laboratory to be launched in fall 2016. In 2015–2016, the NFB established a partnership with the Quartier des spectacles, France Télévisions and ARTE in order to develop new interactive projects. A partnership between the NFB, New Media Manitoba, On Screen Manitoba and the Canadian Museum for Human Rights (CMHR) resulted in the establishment of the Creation Lab, an innovative project for prototyping interactive installations. In November 2015, the NFB teamed up with the IDFA DocLab4 to create the Virtual Reality Lab, combining programming, creation and business opportunities to support innovative VR documentary projects. In February 2016, the NFB launched a brand-new subscription video-on-demand (SVOD) service powered by Vimeo. Documentary and animation fans can now have access to NFB shorts on demand, in English and French, on a variety of platforms. The NFB dug into its extensive heritage collection to create three DVD compilations containing some 50 films to welcome Syrian refugees. During the past year, the NFB launched Unikkausivut – Nunatsiavut, another chapter in the NFB’s landmark audiovisual legacy project, Unikkausivut: Sharing Our Stories. This new box set brings together films illustrating 40 years of Labrador Inuit history and culture. The NFB once again showed its commitment to Canada’s official-language minority communities with the signing of a pioneering agreement to strengthen the cultural vitality of Quebec’s English-speaking communities. For the 11th year in a row, the NFB participated in the Rendez-vous de la Francophonie, now in its 18th edition. This year, the emphasis was on recent films from the Tremplin competition for emerging French-speaking filmmakers outside Quebec, held in co-operation with Radio-Canada. A total of 182 screenings were presented in 59 cities across Canada. As part of the First World War commemorations, the NFB partnered with Parks Canada to create a French-subtitled version of the film John McCrae’s War: In Flanders Fields, which was shown at some 20 Parks Canada historic sites and abroad through the Department of Foreign Affairs’ network. During the 2015 Pan Am Games in Toronto, the NFB presented the film installation Souvenir at the Indigenous Pavilion. The series of four short films were made from NFB archival material by Indigenous filmmakers Jeff Barnaby, Michelle Latimer, Caroline Monnet and Kent Monkman. The shorts later screened at the imagineNATIVE Festival, and Caroline Monnet’s Mobilize was programmed at the Toronto International Film Festival (TIFF) and Sundance. Apocalypse 10 Lives, a unique interactive experience blending an animated graphic novel with archival documents, was created to help teachers pass on the duty of remembrance during the Centenary of the First World War. For the 375th anniversary of the City of Montreal, the NFB and the City signed an important memorandum of agreement that will notably result in the co-production of a scientific digital work to be launched in the summer of 2017 at the Rio Tinto Alcan Planetarium. The goal is to position the NFB as a leader in the use of innovative technology for the production and distribution of content that can be easily accessed by audiences. In Canada, the NFB has been at the forefront of digital preservation and strategies to increase the accessibility of Canadian content online. The development of new technologies and creative workflows improves work processes and efficiency. Achieving the above priority will therefore further enable the NFB to share its expertise in Canada and internationally. Following the digital transformation carried out by the NFB, the production flow of almost all new animation and documentary projects has been fully digital since the last quarter of 2015–2016. In 2015–2016, the NFB became interested in the immersive experience made possible through virtual reality for the design of interactive installations. For example, one project in development will explore the new medium of 360-degree immersion as a way of creating empathy, which will be created through a true documentary approach. As of March 31, 2016, 5,986 titles in the active collection were digitized, or 77% of the NFB’s active collection. Maintaining a rate of approximately 1,100 films per year, the NFB expects to have digitized its entire active collection before it relocates its Headquarters to downtown Montreal. During the year, the NFB adopted a second digital preservation technology as part of a technological partnership with industry leader ASG-Digital Archive. This will enable the NFB to comply with the principle of technological redundancy, keeping two copies of every media asset on two different storage technologies in two separate geographical locations. The goal is to place the public at the heart of the NFB’s process of creating collective experiences, and to work with audiences in an engaged and immersive creative environment. In order to expand its reach to different audience groups while being more responsive to the needs and realities of each group, the NFB must better identify and measure how these audiences are being reached. During the first quarter last year, the NFB implemented a new, more flexible online viewing platform making it possible to distribute and stream film content from various distribution partners. The content of the NFB.ca | ONF.ca online Screening Room was enriched thanks to the acquisition of 531 independent productions from 25 distribution partners, which have been added to the NFB’s catalogue and are available for rent or download-to-own (DTO). As at the end of the year, the NFB’s catalogue consisted of 98% Canadian productions and 2% international productions. During the past year, the online offer of Canadian films in English and French on the CAMPUS educational platform increased by 41% – 477 additional films available in 2015–2016 out of a total of 1,637 films. During the last quarter of 2015–2016, the NFB conducted market research regarding its audience by means of its database on newsletter subscribers and visitors to NFB.ca. It received 1,792 responses in English and 1,919 in French. The audience profile and behaviour are currently being analyzed. The NFB’s works were viewed 46.4 million times, on all the different channels combined, by audiences in Canada and abroad, up 2.5% compared to the previous year. In 2015–2016, the number of Internet views of NFB works increased by 57.5% compared to 2014–2015 (22.4 million in 2015–2016 compared to 14.2 million in 2014–2015). Following promotional campaigns on social media, an increase of 24,379 NFB Facebook subscribers and 25,370 Twitter followers has been observed since the beginning of 2015–2016. Of the different Canadian consumer market categories, video-on-demand (VOD) showed the largest growth in number of transactions – an increase of more than 142% in 2015–2016 compared to the previous year. Approximately 3,370 NFB productions were offered free of charge this year through the NFB.ca | ONF.ca online Screening Room, 12.5% more than in 2014–2015. In the last quarter of 2015–2016, the NFB launched NFB Shorts on Vimeo, a unique channel offering NFB shorts by subscription video-on-demand (SVOD)5 or by video-on-demand (VOD) for renting specific titles. OPTIK TV customers in Quebec, Alberta and British Columbia can now have free, on-demand access to 1,100 NFB documentaries, animated films, features and shorts. During the 2015–2016 school year, the NFB held six Virtual Classrooms allowing 18,200 English- and French-speaking students from all regions of Canada to take part in online discussions with such well-known figures as filmmaker Alanis Obomsawin and astronaut Chris Hadfield. In co-operation with the Department of Canadian Heritage, the NFB gave an interactive digital storytelling workshop as part of the Canada Day Challenge and created an original study guide. The winners were given a chance to work with a top NFB team of talented education specialists, who helped them make a short film about their adventure in Ottawa. The NFB established a partnership with Montreal’s Commission Scolaire Marguerite-Bourgeoys as part of a pilot project whose content will enrich the future online educational offering – 65 workshops will be given for 1,950 students. The NFB is guided by the principles of good governance and accountability as it continues to earn the confidence of Canadians. This priority enables the NFB to define itself as a leading-edge creative organization that has transformed its operational model in order to optimize resources for Canadians. In renewing its organizational culture, the NFB is creating an environment that favours collaboration and openness, encourages leadership, and values diversity and new operational models. During the past year, as part of the efforts made under the 2016–2020 technological plan, the NFB took steps to improve information management within the organization. An in-depth analysis of NFB critical information was conducted. The relevant corporate data and performance indicators determined by this study were reported on an integrated platform, and efforts were undertaken to optimize the systems and workflow in order to obtain quality, real-time information. Work to develop information-analysis tools and train employees is ongoing and will continue next fiscal year. During the first quarter of 2015–2016, the NFB developed a public relations strategy. An in-depth analysis of all public relations activities engaged in by NFB experts was conducted in order to develop a strategy to increase the NFB’s visibility, reputation and reach. Following the adoption of the new NFB Values and Ethics Code in 2014–2015, a plan was implemented for training employees in this regard. After conducting analyses and consulting employees, managers and union representatives, the NFB developed an employment equity action plan. The initiatives set forth in the plan will ensure that the designated groups are fully represented at the NFB. In 2015–2016, the NFB implemented a plan to involve employees in a process of reflection on how to create a modern, creative and flexible workplace that will enhance the ways in which staff works together. These efforts will continue until the relocation of NFB Headquarters to the Quartier des spectacles, scheduled for 2018. During the past year, the NFB developed an action plan for implementing the Eureka project in order to ensure more efficient management of operational information and records. For more information on organizational priorities, see the Minister’s mandate letter. The $62.6 million total authorities available for use in 2015–2016 include a $2.2 million carry-forward from the previous year, part of which is a portion of the $14.4 million loan granted in 2014–2015 for moving the NFB’s Montreal Headquarters to the Quartier des spectacles. The appropriation also includes funding for severance pay and parental leaves in 2015–2016. Actual spending amounts to $59.8 million, allowing $2.7 million to be carried forward to fund the upcoming relocation projects. Spending on audiovisual production is lower than planned because the production cycle is non-linear and takes place over several years. On the other hand, more technical resources had to be allocated to digital distribution and conservation of the collection because of the work related to strategic projects. Spending for the Accessibility and Audience Engagement Program includes investments for the digital distribution platform and creation of the Teaching and Learning group in order to develop the NFB’s educational offer. Also, implementation of the digitization and conservation plans for the active collection of NFB audiovisual works is continuing and should be completed before the Headquarters relocation in 2017–2018. The NFB’s expenses were reduced as a result of its participation in the Deficit Reduction Action Plan announced in the 2012 federal budget. The NFB has been allocated funds for temporary financing of its Montreal Headquarters relocation, scheduled to take place in 2018. Construction of the building began in 2015–2016, while 2016–2017 will be devoted to planning and design of the work spaces, with fit-up of the premises slated for 2017–2018. In 2015–2016, the NFB developed its 2016–2020 technology plan focussing on two main components: innovation with regard to production and distribution, and modernization of the organization’s overall systems. For information on the National Film Board’s organizational voted and statutory expenditures, consult the Public Accounts of Canada 2016. Expenses are presented in the financial statements on an accrual accounting basis. The variance between planned and actual expenses is primarily due to two factors: 2015–2016 capitalizable expenditures were higher than expected, and the decline in revenues necessitated an expenditure adjustment in order to maintain a balanced position. Capitalizable expenses amounted to $2.4 million in 2015–2016, compared to $3.8 million in 2014–2015. NB: 2014–2015 expenses were again classified to make them comply with the 2015–2016 presentation. The decline in expenses in the Marketing, Accessibility and Outreach sector is related to implementation of the NFB’s 2013–2018 Strategic Plan, with the offering of NFB educational activities online. In line with this new orientation, it was decided to end the educational workshops given in physical locations in Montreal and Toronto, in June 2015, and to create the Teaching and Learning group within the Educational Markets sector. A new Digital and Relational Marketing sector was also created in order to boost the NFB’s digital presence across Canada and around the world. In 2014–2015, the NFB made significant investments in redesigning its NFB.ca | ONF.ca online Screening Room and implementing a Media Asset Management (MAM) system to make better use of its works. These investments were capitalized and will be amortized over the coming years. The fact that the costs were entered as NFB assets explains the lower level of expenses in the Digital Development and Applications sector in 2014–2015. Revenues earned in 2015–2016 amount to $3,386,603, compared to $3,730,191 the previous year, a decline of 9%. This decline is basically due to audiovisual products, which did not achieve the forecast revenue level. The variance between planned and actual revenues is mainly due to two sectors. First, in the Institutional and Educational sector, the educational workshops and digital production workshops (DigiCamps) were terminated. The shortfall in revenues from these two activities was not sufficiently offset by the forecast increase in revenue from subscriptions to the CAMPUS educational platform. Theatrical: Theatrical revenues are stable. Sponsored production and pre-sale: Sponsored production and pre-sale revenues come in part from a number of partnerships, such as with the Planetarium and the Conseil des arts de Montréal, as well as from the activities of the Aide au cinéma indépendant (Canada) program and pre-sales of production projects. Miscellaneous: Miscellaneous revenues mainly consist of revenue from the Documentary Channel partnership and gains or losses resulting from fluctuations in the currency exchange rates. Home Video (Consumer): Revenues from the sale of physical products are declining, in line with the general market trend. Theatrical: The Television market is shrinking because of the decline in broadcast licences for NFB films. The maturity of the NFB catalogue is also slowing revenue growth in this sector. Stockshots: The reduction in the number of documentary productions in the Television market has a direct impact on the sale of stockshots, whose revenues are lower than last year’s. Institutional and Educational: Overall revenues from streaming licences are down from previous years because of the number of CAMPUS subscriptions and the slow processing of agreement renewals. The educational workshops also ceased operation in June 2015, since the revenue shortfall was not fully offset by the increase in CAMPUS subscriptions. Non-Monetary Transactions: The NFB also generated $230,500 in non-financial assets from agreements with institutional partners, including several agreements for offering the #GIFnTAKE experience in exchange for NFB visibility in various Canadian cities. The decline in net liabilities is primarily due to payment of severance benefit obligations entered on the books following the announcement of a reorganization in March 2015 and to the decline in accounts payable to outside parties. The variation in these items is covered by the Consolidated Revenue Fund and is included in net financial assets. The decline in the departmental net debt is due to the gradual use of vacation leave and severance benefits. Non-financial assets mainly consist of fixed assets whose net value declined when the value of the amortization was higher than the value of capital acquisitions during the fiscal year. 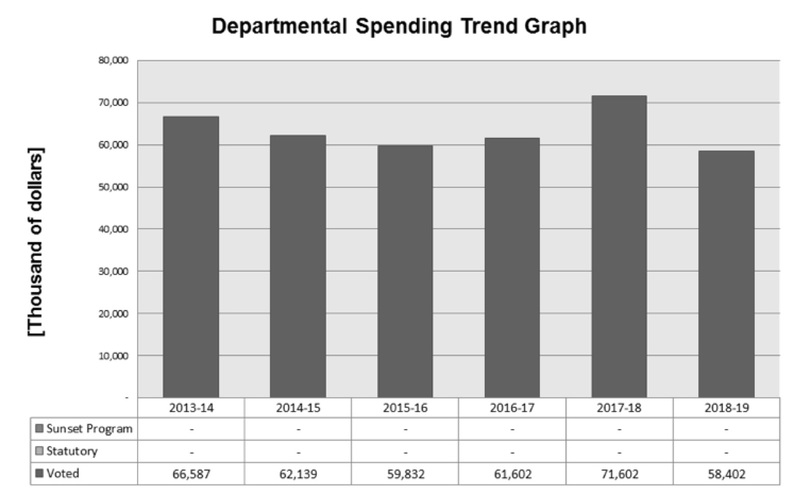 The reduction in the departmental net financial position is related to the decline in the departmental debt and the decline in non-financial assets. 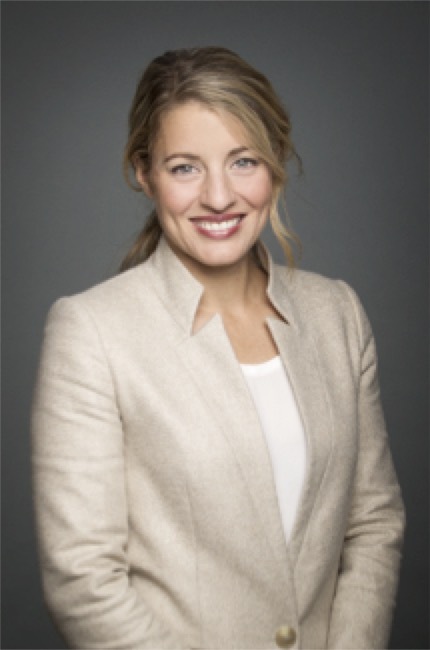 This program contributes to Canadians’ understanding of the issues facing our country and raises awareness of Canadian viewpoints around the world. As a public sector producer, the NFB produces original audiovisual works that reflect diverse Canadian perspectives, including cultural, regional and Indigenous, and emanate from the diverse creators and communities that make up the country. This program operates where the private sector doesn’t, allowing creators to explore artistic and technological advances in form and content. It also ensures the identification, development and nurturing of talent and creative skills, within filmmaking and other creative communities. NFB programming is necessary to ensure that Canadians have access to diverse voices and content in both official languages. It promotes Canadian culture and values in events of national historic and cultural significance. As Canadians’ media consumption migrates online, the NFB provides leadership in the creation of innovative digital content in both official languages. Production activities include the conceptualization, research, development and production of documentaries, animation films, new media content and other emerging forms. In 2015–2016, the NFB completed a total of 119 works, including 43 original films, 6 websites, 2 apps, 2 interactive installations, 1 game, 1 VR project, and 64 films in support of interactive works. And this year again, the excellence of NFB productions was recognized in Canada and abroad, with a total of 66 awards – 35 received in Canada and 31 on the international scene. The animated films If I Was God… by Cordell Barker and Carface by Claude Cloutier were among the 10 films shortlisted for the Oscar for Best Short Film – Animated. Also in animation, In Deep Waters by Sarah Van Den Boom garnered four awards abroad, including the Festivals Connexion Award at the Annecy International Animation Film Festival and the Prix de la critique at the Festival Off-Courts at Trouville-sur-mer, France. Sophie Deraspe’s documentary The Amina Profile won the Special Jury Prize for Best Canadian Feature at Hot Docs, plus three other awards at foreign festivals, including the Tel Aviv International LGBT Film Festival. Hadwin’s Judgement by Sasha Snow received the award for best film at two Canadian mountain film festivals. In the category of interactive works, Jeremy Mendes’s website Seven Digital Deadly Sins garnered eight awards, including three prestigious Webby Awards in the United States. The interactive documentary series Do Not Track by Brett Gaylor, which has racked up over 1,300,000 visits since the release of the first episode in April 2015, received six awards, including four on the international scene. We should also note the success of one of the NFB’s first forays into the world of video games, with I Love Potatoes by artist Vali Fugulin, which was named mobile app of the day by England’s Favourite Website Awards (FWA) as well as Best Social Casual Game at the Canadian Video Game Awards. We should also note that the NFB’s expertise was recognized by 151 industry panels, presentations and round tables in Canada and abroad. Of all the events in which NFB experts participated, 54 were on documentary (36%), 26 on animation (17%), 25 on interactive media (17%), and 11 on virtual reality (7%). A number of NFB works distinguished themselves in 2015–2016, including the feature documentary Ninth Floor, which had its world premiere at the Toronto International Film Festival (TIFF) and was selected for TIFF’s prestigious annual Canada’s Top Ten film festival. In animation, the film Blind Vaysha by Theodore Ushev, produced with the participation of ARTE France, was selected by the renowned Berlin International Film Festival, where it had its world premiere. Howie Shia’s animated short BAM had its world premiere at TIFF. 2015–2016 also saw public and critical acclaim for the NFB’s interactive and virtual reality works. In January 2016, the NFB’s VR projects The Unknown Photographer and Cardboard Crash were among the 31 creations presented to festival-goers at the influential Sundance Film Festival, in Park City, Utah. In November 2015, the NFB teamed up with the IDFA DocLab, a program of the International Documentary Film Festival Amsterdam, to create the Virtual Reality Lab, which combines programming, creation and business opportunities to support innovative VR documentary projects. During the past year, the NFB, New Media Manitoba, On Screen Manitoba and the Canadian Museum for Human Rights (CMHR) joined forces to present Creation Lab, an opportunity for talented Manitoban artists to discuss and collaborate on the development of prototypes for interactive digital storytelling installations. The NFB also established a partnership with JustFilms, the Ford Foundation’s film program, in co-operation with the Canadian Film Centre in order to offer support for 12 multidisciplinary artists from communities that are under-represented in media production, as part of a creative lab to be launched in fall 2016. During the 2015 Pan Am Games, the film installation Souvenir was presented at the Indigenous Pavilion at the Fort York National Historic Site’s Visitor Centre, from July 13 to August 9 2015. The series of four short films premiering as part of the installation addressed themes of Indigenous identity and representation and had been made by Indigenous filmmakers using NFB archival material. Bringing together 13 artists from seven countries, the interactive tour Common Space, an NFB co-production in partnership with the Quartier des spectacles and MUTEK, was part of the international Human Futures project. Using technology, video projections and interactive tools, the creators invite visitors to rethink their perception of their surroundings and the public space. For the eighth year in a row, the NFB brought together acclaimed Canadian filmmakers with NFB producers to create inspired and inspiring profiles of the recipients of the Governor General’s Performing Arts Awards (GGPAA). With this year’s seven prestige films celebrating the achievements of these great Canadians, the NFB has now produced a total of 63 short films for the GGPAA Gala, a unique outreach opportunity for the NFB. We should also note that the NFB created a new unit to focus on institutional projects, in the great tradition of NFB innovation. The unit will strive to enrich its collaboration with federal departments and national museums in order to build partnerships for creation and production, while enriching existing partnerships for the distribution of new works and interactive/immersive experiences for Canadian and foreign visitors. In 2015–2016, 25% of completed audiovisual works were by emerging filmmakers. The NFB also launched the 2016 edition of the Tremplin competition, in co-operation with Radio-Canada, to give emerging French-speaking filmmakers outside Quebec a chance to direct their first or second documentary. The projects of the two winners, André Roy of Dieppe, New Brunswick, and Julien Capraro of Vancouver, British Columbia, will be broadcast on Radio-Canada on March 31, 2017. For its 11th edition, the Hothouse program offered six emerging animators from across Canada a 12-week apprenticeship with the NFB’s Animation Studio. The six participants each made an animated short with a maximum running time of one minute with the assistance and support of mentor/director Malcolm Sutherland, who had participated in the very first Hothouse. All films produced as part of the competition can be viewed on the NFB.ca | ONF.ca online Screening Room. This program ensures that Canadians and world audiences are able to access, view, discuss and engage with innovative Canadian content that reflects Canadian stories and perspectives. As media consumption migrates online, Canadian content must be made available in all digital and mobile forms. Delivery mechanisms include the distribution, marketing and commercialization of audiovisual works via a diverse catalogue, a well-established stock footage library, the development of diversified markets (i.e. : theatrical, television, consumer and institutional) via online and traditional channels in Canada and abroad. These activities make works widely accessible across Canada, notably to underserved and remote communities, Indigenous and official language minority communities. NFB’s accessibility and audience engagement activities contribute to a dynamic Canadian culture and heritage. In 2015–2016, increased efforts were made to boost the NFB’s presence in different communities throughout Canada, to target its audiences and get to know them better, and to build a richer, ongoing relationship with them. In 2015–2016, the total audience in Canada and around the world grew by 2.5% over 2014–2015, reaching more than 46 million views. This increase is primarily due to views by international audiences on partner websites (especially YouTube) and to views of interactive productions. In the past year, for all channels as a whole, Internet views increased by 4% in Canada and 57% worldwide. While views of films on the NFB.ca | ONF.ca online Screening Room declined in Canada ( 27%) and worldwide ( 29%) compared to the previous year, the downward trend was offset by the significant increase in the number of views on our partners’ websites, which were up 45% in Canada and almost 90% worldwide in 2015–2016 compared to 2014–2015, and by the strong increase in views of NFB interactive productions (more than 170% in Canada and more than 158% worldwide in 2015–2016). This increase is primarily due to the interactive projects Do Not Track, Bread, Seven Digital Deadly Sins, Bear 71 and Fort McMoney. The increase in views via online partners is due to the increase in NFB content on YouTube and Vimeo and to the exceptional growth in the use and views on the YouTube platform by users around the world. In 2015–2016, DVD and DTO9 sales experienced declines of 16% and 19%, respectively, in the Canadian consumer market, owing to the general decline in the DVD sales market. The video-on-demand (VOD) model is gaining popularity on the international scene and in Canada. Overall VOD sales have risen by 142%, a significant increase primarily related to the renewed content on the NFB.ca | ONF.ca Screening Room, which was launched in April 2015 and accounts for 58% of total transactions, with 11,721 transactions for the fiscal year. In 2015–2016, the number of views on CAMPUS dipped slightly (192,437 in 2015–2016 compared to 196,487 last year). Sales in the institutional and educational market were also down 20% compared to last year. Overall revenues from streaming licences were down compared to previous years because of the growing number of CAMPUS subscriptions, the slowness of the agreement renewal process and the ongoing impact of the Copyright Act on NFB revenues. The NFB organized a major promotional campaign to encourage the main school boards and commissions to subscribe to CAMPUS, and sent out personalized letters and e-mails to decision makers and educators. These efforts should begin to show results in the next fiscal year. In the United States, CAMPUS revenues are declining owing to consumer fatigue for this type of platform (the NFB being a new player in a market that already has a number of competitors, such as Alexander Street and Kanopy), and few releases of new titles in the American institutional market. For the 10th year in a row, the NFB partnered with the Rendez-vous de la Francophonie, which attracted almost 6,000 spectators with 182 public screenings in 60 Canadian cities in March 2016. Twenty-one NFB productions were also shown at this year’s Rendez-vous du cinéma québécois. The number of views at public screenings across Canada was far lower than in 2014–2015, totalling just over 440,000 views in 2015–2016. However, this was simply a return to normal since audiences for public screenings in Canada had been exceptionally high in 2014–2015 because of important events held that year. As it does every year, on June 21 the NFB celebrated National Aboriginal Day with unique programming online and across Canada: some 50 screenings of the film Trick or Treaty? at partner public libraries, with filmmaker Alanis Obomsawin present at some of the screenings. A selection of 12 titles was offered on the front page of the NFB.ca website, garnering over a thousand views. We should also note that as part of the closing events of the Truth and Reconciliation Commission (TRC), the NFB screened Trick or Treaty? to a full house of 300 persons at the National Gallery of Canada, with director Alanis Obomsawin and Commissioners Wilton Littlechild and Marie Wilson in attendance. During the year, the NFB continued its organizational transformation projects in order to position itself as the uncontested leader of audiovisual content in the digital industry. To achieve this, the institution continued to focus on a flexible structure capable of constantly evolving, an open and entirely digital technological environment, an information-based architecture and a collaborative workplace. To support good and effective collaboration among its teams and studios, the NFB adopted a technology plan calling for the implementation of a cutting-edge collaborative digital environment. Digitization of the entire production flow is one of the basic elements of the NFB’s 2016–2020 technology plan. Since the last quarter of fiscal 2015–2016, the production flow of almost all new NFB projects has been fully digital, thereby increasing the efficiency of the production, exploitation and distribution of the works and assets and improving information on audiences. Also, with the help of the consulting firm Deloitte, the NFB developed a strategy for using collaborative tools to create an innovative digital work environment that will provide connectivity and foster collaboration throughout the organization. The NFB also continued deploying the integrated Media Asset Management (MAM) system, which has involved a great deal of work over the past few years. In 2015–2016, work continued on importing data, adding functionalities, modifying the configurations and adding specialized assets. As another aspect of its technology plan, the NFB also worked on optimizing its internal information-management systems. A working group on reports was established and began the process of determining and documenting the list of essential operational and strategic data and NFB business rules. Work to integrate critical data, produce automated analytical reports and train users is ongoing. To comply with the Government of Canada’s Directive on Recordkeeping, the NFB developed an action plan for implementing the Eureka project and carried out the initial phases during the past year. Also, acting on its commitment to comply with the Directive on Departmental Security Management, the NFB presented a new security plan for improving physical security, security of individuals and IT security, and began developing a security policy. Finally, to reflect the increasing diversity of the Canadian population within its own staff and with the artisans with whom it collaborates, the NFB established a diversity committee to implement mechanisms to help it meet its employment equity, multiculturalism and official-languages obligations, and to encourage the diversity in perspectives and ideas that is central to the NFB’s mandate and helps to drive its innovation and organizational effectiveness to a higher level. The committee’s reflections have resulted in the development of an employment equity plan for achieving full representation of the four designated groups within the NFB’s workforce. The plan was established following a rigorous process of analysis and consultation with employees, managers and union representatives. To promote a collaborative approach and natural synergies among the teams, a mobilization strategy was developed to allow all NFB employees to think of different ways they could work together and achieve a more inclusive workplace. This profound transformation in the methods of collaborating included reflection on new work environments and aspects related to the organization of work spaces and common areas. Supporting information on lower-level programs is available on the National Film Board’s website. The following supplementary information tables are available on the National Film Board’s website. The tax system can be used to achieve public policy objectives through the application of special measures such as low tax rates, exemptions, deductions, deferrals and credits. The Department of Finance Canada publishes cost estimates and projections for these measures annually in the Report of Federal Tax Expenditures. This report also provides detailed background information on tax expenditures, including descriptions, objectives, historical information and references to related federal spending programs. The tax measures presented in this report are the responsibility of the Minister of Finance. budgetary expenditures (dépenses budgétaires): Operating and capital expenditures; transfer payments to other levels of government, organizations or individuals; and payments to Crown corporations. Departmental Performance Report (rapport ministériel sur le rendement): Reports on an appropriated organization’s actual accomplishments against the plans, priorities and expected results set out in the corresponding Reports on Plans and Priorities. These reports are tabled in Parliament in the fall. full time equivalent (équivalent temps plein): A measure of the extent to which an employee represents a full person year charge against a departmental budget. Full time equivalents are calculated as a ratio of assigned hours of work to scheduled hours of work. Scheduled hours of work are set out in collective agreements. Government of Canada outcomes (résultats du gouvernement du Canada): A set of 16 high level objectives defined for the government as a whole, grouped in four spending areas: economic affairs, social affairs, international affairs and government affairs. non budgetary expenditures (dépenses non budgétaires): Net outlays and receipts related to loans, investments and advances, which change the composition of the financial assets of the Government of Canada. performance (rendement): What an organization did with its resources to achieve its results, how well those results compare to what the organization intended to achieve, and how well lessons learned have been identified. performance reporting (production de rapports sur le rendement): The process of communicating evidence based performance information. Performance reporting supports decision making, accountability and transparency. plans (plan): The articulation of strategic choices, which provides information on how an organization intends to achieve its priorities and associated results. Generally a plan will explain the logic behind the strategies chosen and tend to focus on actions that lead up to the expected result. Report on Plans and Priorities (rapport sur les plans et les priorités): Provides information on the plans and expected performance of appropriated organizations over a three year period. These reports are tabled in Parliament each spring. results (résultat): An external consequence attributed, in part, to an organization, policy, program or initiative. Results are not within the control of a single organization, policy, program or initiative; instead they are within the area of the organization’s influence. Strategic Outcome (résultat stratégique): A long term and enduring benefit to Canadians that is linked to the organization’s mandate, vision and core functions. sunset program (programme temporisé): A time limited program that does not have an ongoing funding and policy authority. When the program is set to expire, a decision must be made whether to continue the program. In the case of a renewal, the decision specifies the scope, funding level and duration. Whole of government framework (cadre pangouvernemental): Maps the financial contributions of federal organizations receiving appropriations by aligning their Programs to a set of 16 government wide, high level outcome areas, grouped under four spending areas. 1 – Type is defined as follows: previously committed to—committed to in the first or second fiscal year prior to the subject year of the report; ongoing—committed to at least three fiscal years prior to the subject year of the report; and new—newly committed to in the reporting year of the Report on Plans and Priorities or the Departmental Performance Report. 2 – April 1980 for the Cinéaste recherché(e) competition and April 2005 for the Tremplin program. Launch of the Relance program had to be postponed owing to a lack of funds. 6 – Audiovisual production expenditures are lower than forecast because the production cycle is non-linear and takes place over several years. On the other hand, more technical resources had to be allocated to digital distribution and conservation of the collection because of the work related to strategic projects. 7 – The difference is due to the fact that employees were reclassified under the Accessibility and Audience Engagement Program for implementation of the Media Asset Management (MAM) system and revamping of the NFB.ca | ONF.ca online Screening Room. 10 – The increase in spending in the Accessibility and Audience Engagement Program is largely due to investments made for the transition of the digital distribution platform to e-commerce and for the creation of the Teaching and Learning group in order to develop the NFB’s educational offer. 11 – The difference is due to the fact that employees were reclassified under the Accessibility and Audience Engagement program for implementation of the Media Asset Management (MAM) system and revamping of the NFB.ca | ONF.ca online Screening Room. 12 – Includes theatrical views. 13 – Does not include partnership revenues, revenues from NFB centres and other miscellaneous revenues. 14 – The gap is explained by the investments made in the MAM project which exceeded forecasts. 15 – The term “title” refers to a version of an audiovisual work, as the English version of a movie. Several titles can refer to the same audiovisual work. 16 – With the launch of MAM management system, a new methodology for calculating the number of titles with a pivot was implanted. However, to ensure consistency with the data reported in previous years, data will be presented according to the former. Under the new methodology, a cumulative of 2,858 titles come with a pivot as of March 31, 2015 (762 in 2014 -2015). 17 – The difference is mainly due to investments made for the redesign of the website ONF.ca │NFB.ca, as well as a reallocation of funds dedicated to subprograms 1.2.3 and 1.2.4 to this subprogram following the reorganization of the Marketing and Communications Division. 18 – The gap between the target and the actual result is attributable to a change in methodology: data were previously measured from log analysis and are now measured via Google Analytics. Furthermore, errors in the marking of the web pages when using Google Analytics have led to an incomplete measurement of this indicator for the year 2014-2015. The number of 20,000 is estimated. 19 – It should be noted that the amounts of charges sectors have been modified from those presented in the 2013-2014 DPR, to make them consistent with the reclassification performed in the Financial Statements.